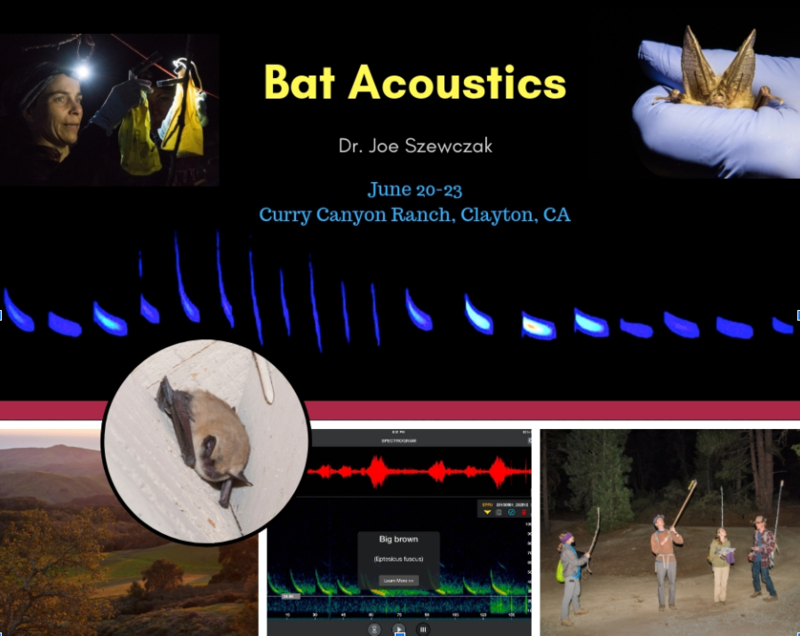 Description: This four-day workshop will introduce participants to noninvasive acoustic monitoring and species identification of bats. Beginning with the fundamentals of acoustics to interpret the biology and ecology of echolocation, we’ll learn how bats use sound and how we can capture it for monitoring. Participants will learn the theory and practice of recording, analyzing ultrasonic bat vocalizations to interpret bat activity and species presence, and the simple (but counterintuitive) ways to avoid poor and erroneous results. We will also connect these concepts to the regulatory setting in California and provide an overview of key considerations when applying acoustics to the environmental compliance realm.